We are very pleased to introduce and announce to the people of Indonesia and the Muslims living in Japan. M & K Laboratories Inc., Japan has started supplying HALAL Noni (Morinda citrifolia) Juice. 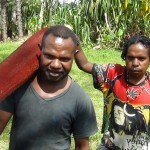 Noni is a traditional herbal and medicinal plants of Indonesia and has been used as a herbal medicine for 6,000 years. 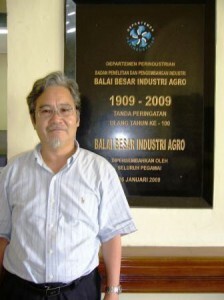 PT Morindo International (PTMI) in Jababeka Industrial Estate I Jl. Jababeka XI, Blok K No. 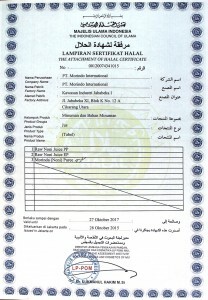 12A, North Cikarang, West Java, Indonesia has been certified to produce Halal Noni juice is effective on October 28, 2015. M & K Laboratories Inc. has worked, developing and researching noni along with PTMI since 1999, also with the support of the Center for Agro Industry (BBIA), Bogor, Department of PTMI Perindustrian. 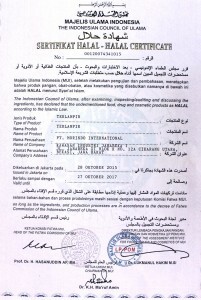 Produk noni juice has also been ceritified as Organic JAS, EU and USDA, and produced by HACCAP system. 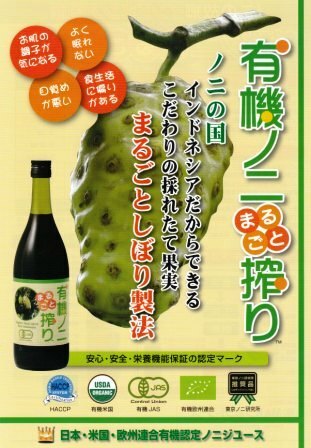 100% pure juice from ripe noni fruit has been supplied to Japan. Noni juice is bottled products made in Indonesia, and has many healthy functions including anti-constipation, -hypertension, -diabetes mellitus, -dysfunctions of the liver, kidneys and intestines, -oxidations, various types of cancer, -obesity and so forth, and providing vitamins and minerals, prooved by our research. We believe that Organic noni juice with HALAL can support and help and improve the health of Muslims living in Japan for a long time. 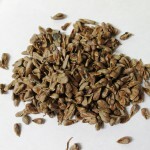 If one needs 100% pure organic noni juice HALAL, do not hesitate to contact me. 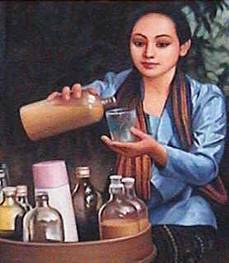 We are willing to provide the highest quality Indonesia Organic noni juice and HALAL between any product. 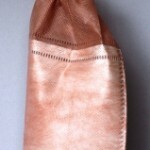 Copyright© M&K LABORATORIES inc. All rights reserved.